A Punisher-Possessed Venom is even way more fun than you think. And What If could be bringing him to a new animated series. Now with Disney+ imminent, for better or for worst, Marvel is set to bring more fodder and flagship series to the streaming platform. This time, fans can look to an animated series based on a prolific Twilight Zone-esque series in the Marvel-verse – What If. The “What If” was an alternate-verse narrative that imagined Marvel characters in scenarios or events separate from what is accepted canon. So, what if Wolverine Killed the Hulk, Or what if Venom possessed the Punisher for example. That last one was a good read. The What If’ series did not have any bearing on the continuity of other Marvel story arcs, but they did go a long ways to bringing us deeper understanding of the characters and the variables that mould them. 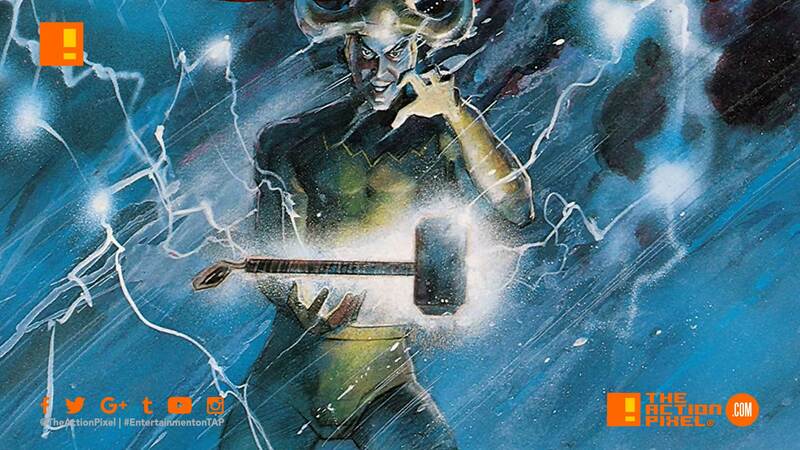 Good ol’ Loki getting all phallic with his half-brother’s hammer. One particular comic story seems to have caught Disney’s eye. More specifically Volume 1 #47 which put forth the hypothetical scenario where Loki is the one that discovers Thor’s Mjolnir. This comic has been reported to be one of the potential episodes. Much like the comic series, the Disney+ animated What If series proposed will not have a bearing on anything considered canon in the current MCU, film or TV-wise. However, it is being overlooked by Marvel head Kevin Feige, and will feature voice talents of the actual MCU stars. Hopefully, this is a good signifier that this Disney animation is not a quick fix treatment just to occupy their streaming platform but a thoughtful, lithe animation. Especially post-Spider-Verse. Happy for the series. What alternate Marvel narratives are you hoping gets visualised? Let’s hear it in the comments!